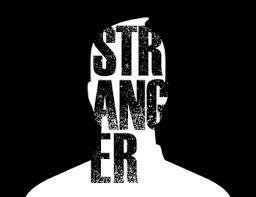 He is not the guy I used to know ma, I am living with a stranger.. I smiled inwardly and said to myself .. familiar stranger.. lol. Stephanie and I spoke for a long time and at the end of the discussions, the conclusion of the matter is that she feels she has fallen out of love with her husband of 5 years.. I assured her that it happens to the best of us so she is normal.. lol and falling out of love as she said, does not mean she does not love her husband anymore.. Sometimes life happens to you and you come to a place where you feel no love for your spouse . . It's OK to feel that way sometimes but it's not OK to remain that way.. so here are some tips to help you if you are in Stephanie's former shoes.. she is all happy and loving her husband now.. she is feeling the love and has forgotten me.. lol This is what you can do when you dont feel love for your spouse..
2. Identify your part in escalating what has happened.. what did the person do and how did you react to make it worse? 3. Look for ways to resolve issues .. what's your communication channel..do communicate to resolve your challenges amicably. Remember you are a team. 4. Move past the hurt and pain caused. Choose not to be in pain and bitterness. 5. Give meaning to that pain and learn from the experience. 6.Identify what your spouse can do to help you move past the pain and trust him/her again. 7.Forgive and let go to make progress in your marriage. 8.Engage each other daily to commit to making the marriage better. 9. Resolve to make things better in every way.. resolve to let go and let God work in your marriage. Feel the love again in your heart.. see your spouse through the eyes of God that he/ she is a gift to you.. if you have to go to your "happy place " where the person has ever made you happy in the past..go there and remember the good times to feel the joy of having him/her as your spouse. 10. I believe in prayers so pray and ask God to help your marriage in every way. Marriage is God's idea. . So pray that God will restore love in your heart again. Practical tips to help you love again. 1. Start your own communication game or process to help you communicate better as a couple. My husband and I started this before we got married and we call it 5 by 5. We tell ourselves 5 things we love about each other and we want to continue and 5 things either of us don't love and want the person to stop, we give examples to buttress our points so we know what was done and should continue and what not to continue. We try to do this every month especially during our planned date night which is the date of our wedding anniversary every month. This will help you communicate better as couples if followed. 2. Have your own daily rituals to connect..
A. it can be kissing each other daily for some minutes as you both depart for work or when you return. B. It can be praying together daily or reading a chapter of the book of proverbs daily to each other. C. It can be asking yourselves at particular times of the day the highlight of your day.. talk about how good your day is going or how not so good and be ready to celebrate if its good and to comfort with good words if its not going so well. 3. Affirm each other daily by saying nice words to each other. Brag about your spouse daily.. find something good about your spouse to say daily. 5. Ensure you do something kind for your spouse daily.. I tell myself; I am in my marriage to do my husband good and to help him whether he deserves it or not.. with that kind of mindset, good will come to you as well, as you get what you give. All this and more will help you bond and connect so you feel love for each other again.. let me know if this is helpful in any way.